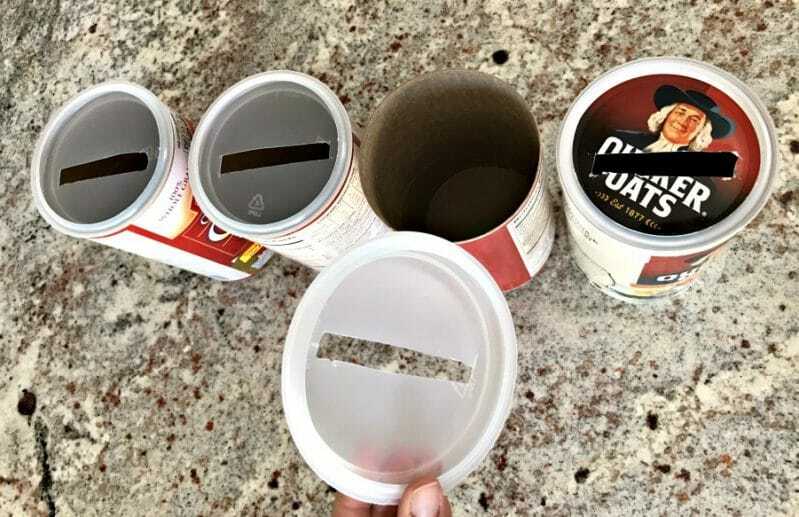 Start by taking the tops off of your oatmeal containers. 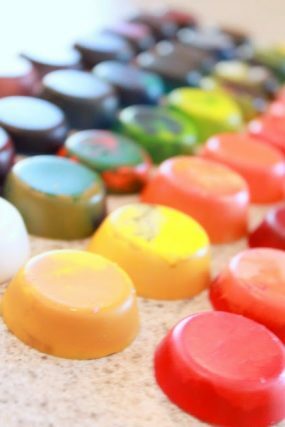 In the middle of each lid, cut an opening big enough for a playing card to slide through. The slots don’t have to be beautiful, just as long as the card can slip thru. Another option, perfect for rectangular boxes, would be to cut right into the side of the box instead of the lid. 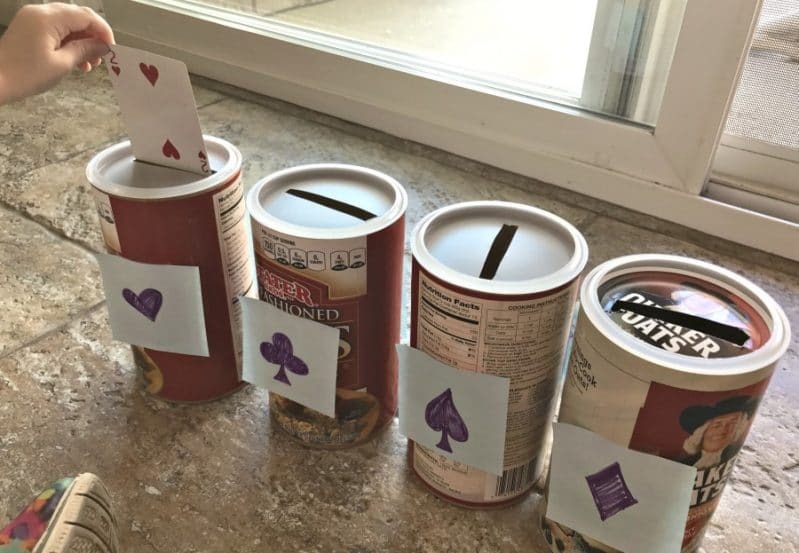 Practice math skills with other great playing card activities. Next, grab some post-it notes to label the sorting options. Your labels will be stuck onto the front of the containers during the activity. 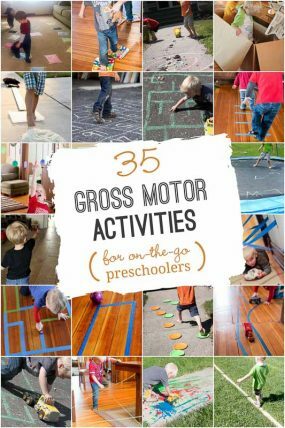 There are three sorting options to choose from and you could just focus on one skill per activity time or all three. What you choose to write on the Post-it notes may vary depending on the age of your kids. I chose to draw the symbols of the shapes since I knew it would be easier for my children to recognize. I also decided to use a number symbol instead of the word “numbers” to introduce them to the symbol. 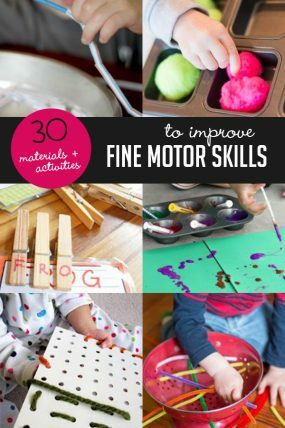 Do what works for your child’s age and skill level. After your card slots are made and your containers are labeled, you’re ready to sort your cards. Let your children direct the sort. 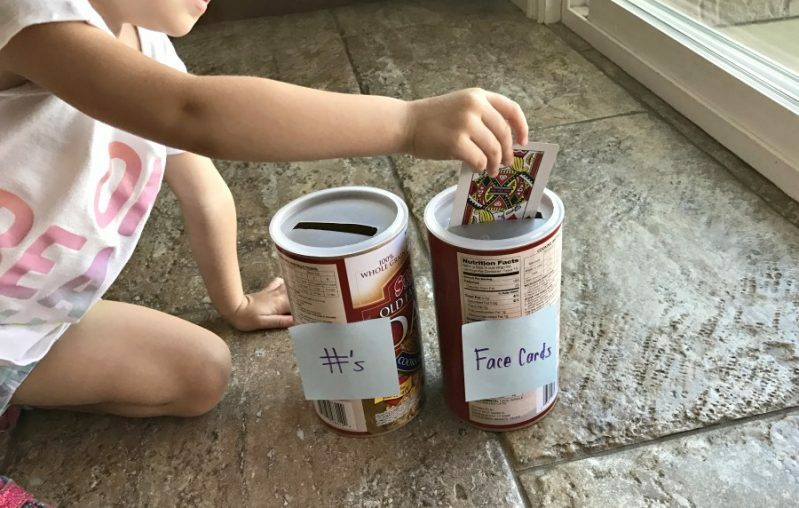 Your kids will sort the cards based on that criteria and slide the cards into the correct sorting slots. The type of sort you choose will change how many oatmeal containers you need. 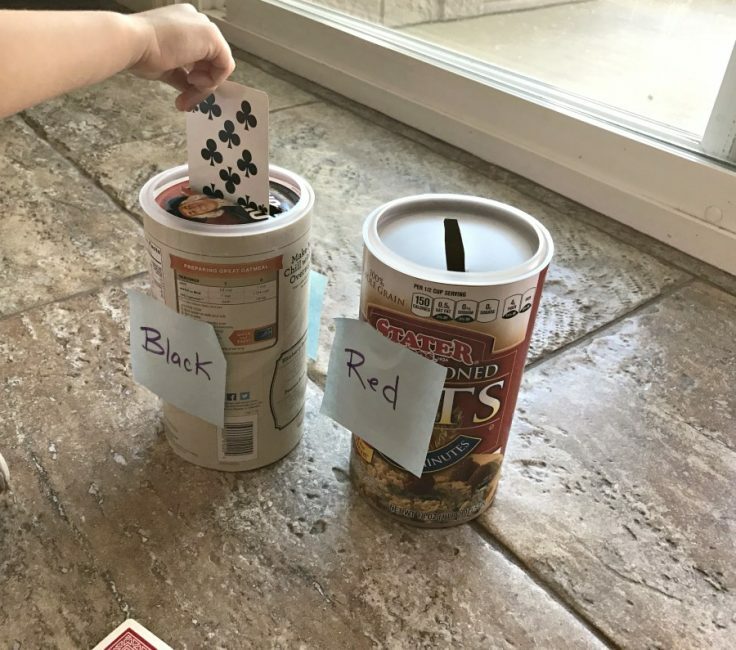 For sorting by color, red or black, and number vs. face card, you will need two containers. To sort by suit shape, you will need four containers. Each container should be labeled with one category. Now, grab a deck of cards and let the sorting begin. For all of the sorts, flip one card at a time and place it in the correct container. Repeat these steps until all the cards have been sorted. 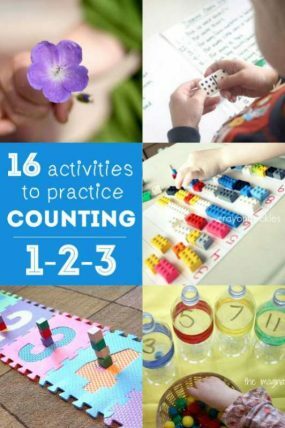 This is a great activity to practice number recognition! Let your children really take the lead. Your children might have different sorting ideas. They might have other ideas for how to play, too. This is a great chance to see their minds really explore, engage, and learn. 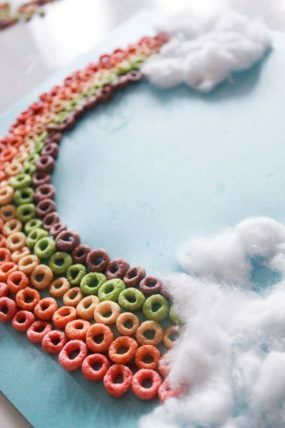 Roll with it and enjoy the special time. 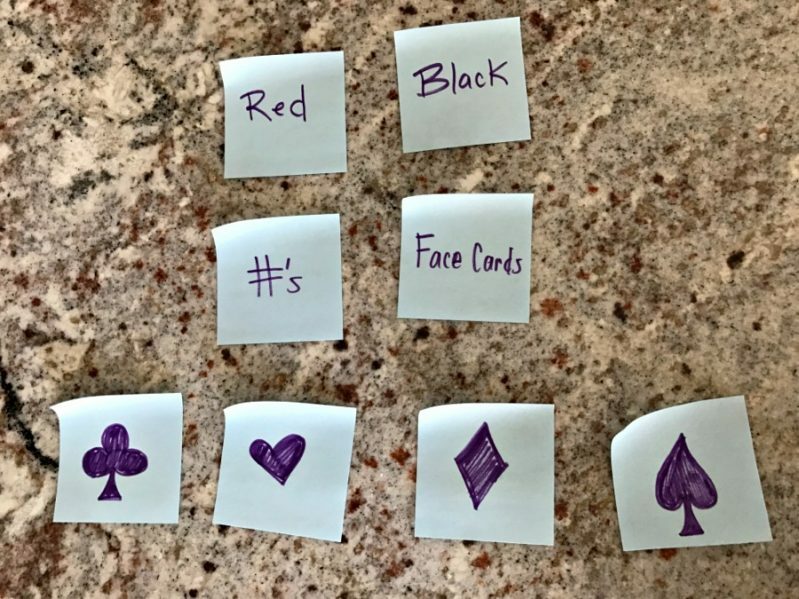 The next time you play this simple card sorting activity, ask your children to help you decide on the sort categories. 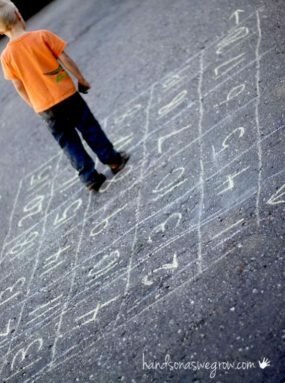 Need ideas to better engage with your child? How did your children choose to sort their cards?